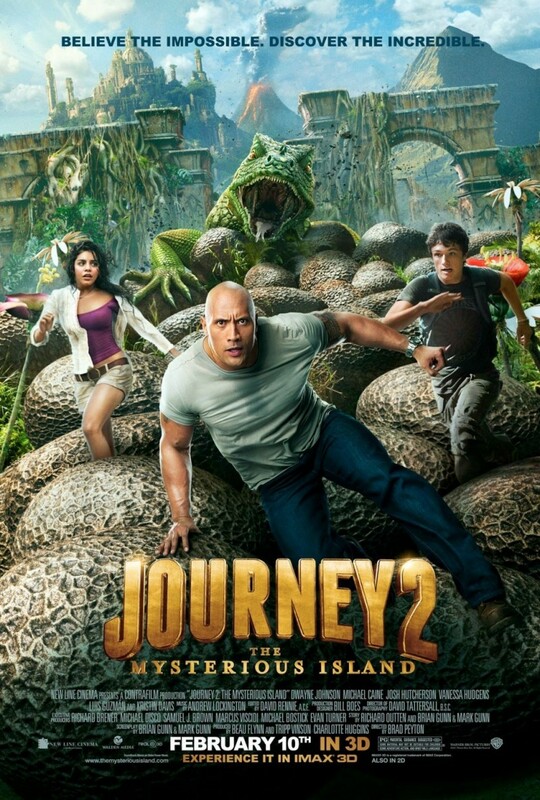 Journey 2: The Mysterious Island DVD and Blu-ray release date was set for June 5, 2012. Sean Anderson receives a mysterious signal from someone he believes to be his grandfather. After breaking into a satellite research center to boost the signal, Sean deciphers the code with help from his stepfather. The code is based on the books Treasure Island, Gulliver’s Travels, and Mysterious Island. It tells the location of a real Mysterious Island, on which all three books were based. Sean and his stepfather venture to the South Pacific to search for the Mysterious Island. They hire a helicopter guide and his young daughter to take them to the coordinates. The helicopter crashes on the way and the crew wake up on the Mysterious Island. There they find Sean’s grandfather and devise a way to escape before the entire island self-destructs.